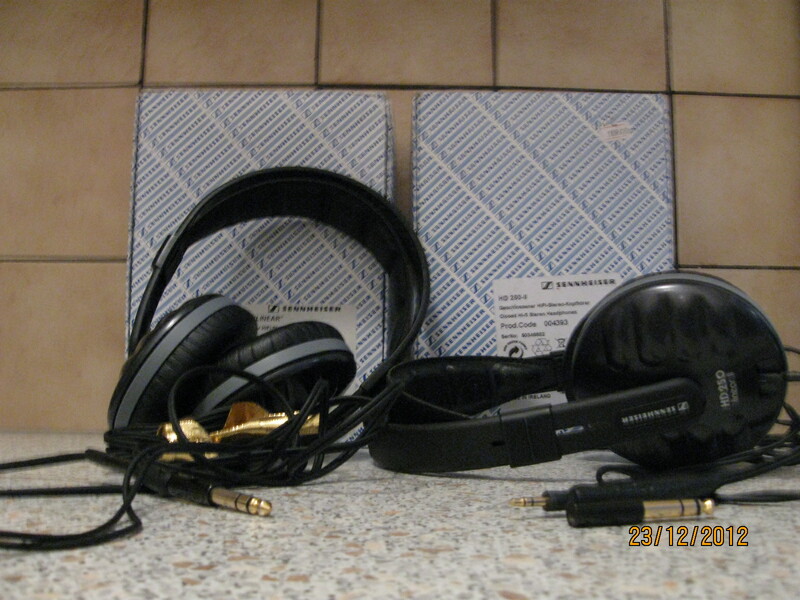 Discussion in 'Headphones for Sale / Trade' started by deep funk, Dec 19, 2012. Due to circumstances some of my favourite headphones have to go. Two pairs of Pioneer Monitor 10s. Both are used, one in good condition and the other slightly damaged. You can hook them up to listen to music right away. Given they're heavy I'll eat part of the costs for shipping and handling. I prefer to sell them as a set. The price is firm given I've been informed a pristine Monitor 10 fetches about 150 Dollars. I offer you one good with one for spare parts for the price of one. Sold!!! The Sennheiser HD250 II Linear replaced my K240 DF. I found two mint Linears but given the choice I prefer open headphones for home listening. Please PM me for information and photos. P.S. As of this update, 06-01-2013 this is the last bump. I'll give it a week before I close the listing. How do those senns compare to your dt48? and to the cd900st? AKG K240DF/T20RP v.2/hd580 -> gamma1 -> JDS labs O2. The HD250 II Linears sound smoother compared to the DT48 and CD900 ST (Going from memory). The thing about the Linears is that there is sub bass, bass, clean mids and a smooth transition to the highs. If this headphone had a midrange like my K500 I would be keeping the Linears. There is another guy who really appreciates the sonic presentation of the Linears and has the DT48A.